Last night, I finally did something I've been wanting to do for more than two months now -- and that's to fix my Sony VAIO T13 Ultrabook that's been sitting in my desk, taken 'out of duty' by black screen issue. 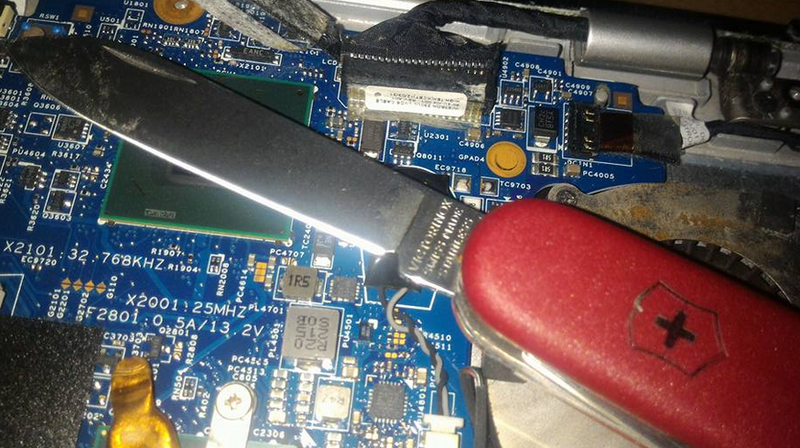 I've always taken pride in fixing my own gadgets if and when they become problematic. I've done that many times in the past - from smartphones to desktops. But these days, because of my busy schedule, I've resorted to just hiring technicians to help me when tech issues arise. "But this one, I have to fix myself -- even if it takes a while before I can get my hands on it. 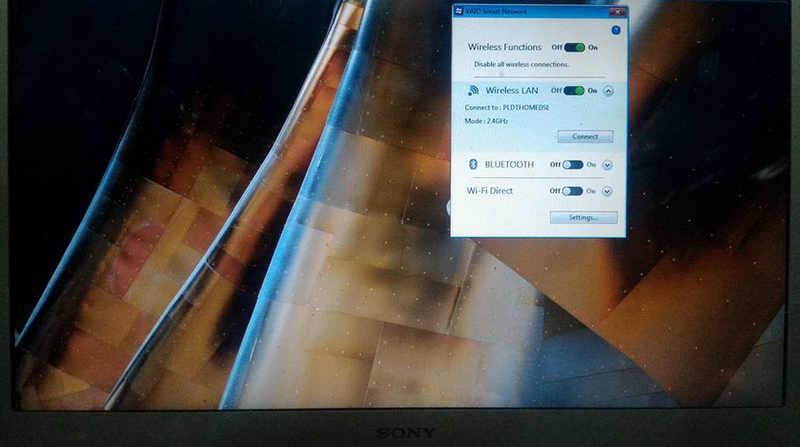 As my daily laptop for three years, this VAIO has given me so much," I told myself. So what's the issue, exactly? The notebook turns on; WiFi fires up, the HDD works like it should. But the display stays black. I was able to prove that - apart from the screen - the laptop works flawlessly when I connected it to my Smart TV via HDMI cable. With that, it became clear to me that the problem has something to do with either the flex cable, the backlight connector, or the display itself (i.e. it has to be replaced). Isolating Possible Problem Areas - I tried slowly opening and closing the lid with the laptop turned on to check if the display would fire up at certain angles. I thought, 'If it does, it will prove that the screen is still functioning and that the flex cable could be at fault.' And that was exactly what happened. So I turned off the notebook, carefully pried the display frame open starting in the upper right corner, and used Phillips screw driver to remove the panel. The procedure - which involves using a thin but tough strip of plastic like a debit card - is quite complicated and it deserves a whole separate post altogether. But anyway, since reseating the flex cable didn't really solve the issue, I won't dwell on it too much. 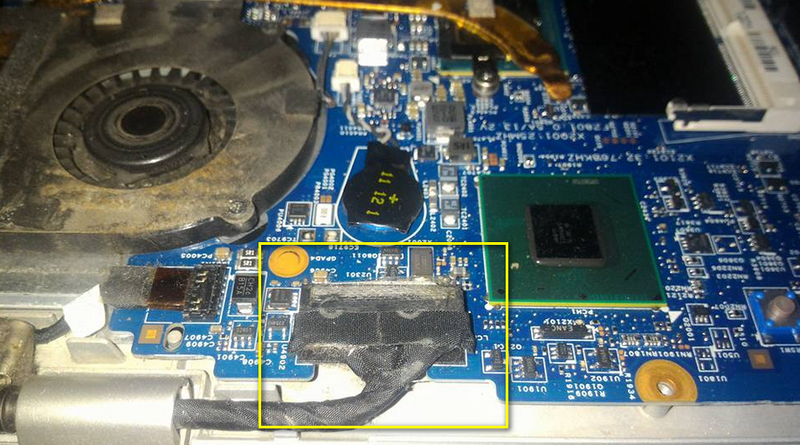 So how was I able to fix my ultrabook? Since moving and reseating the flex cable didn't work, I decided to move on my next option which was to open the case and check if the backlight connector was OK. Thankfully, removing the bottom cover of the notebook was a lot easier than opening the display frame. First, I pulled out the battery using a coin. Then, I removed the plate covering the RAM slots and the hard disk drive using Phillips screw driver. After that, I removed the HDD held in place by four black screws. And finally, I jiggled the frame off after removing two silver screws near the touchpad area and all black screws around the perimeter. 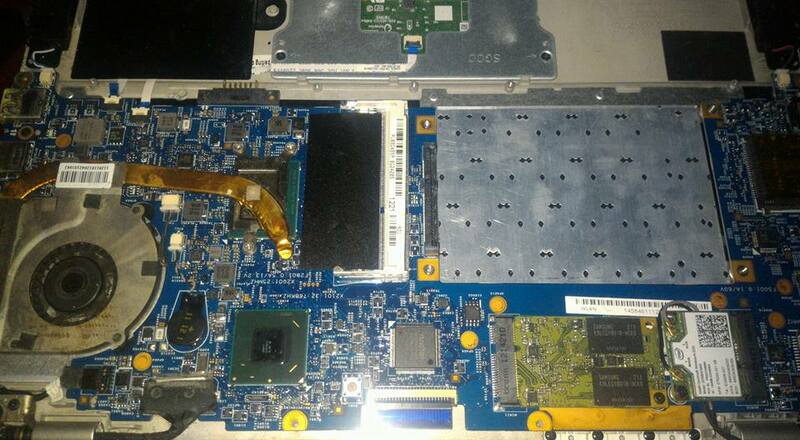 This is how Sony VAIO T13's motherboard looks. And I went directly for the backlight connector below the fan, just beside the charging port. I carefully removed the sticker covering the module using a knife. I was surprised to see that there were no latches holding these two parts together. 'Just the sticker?' 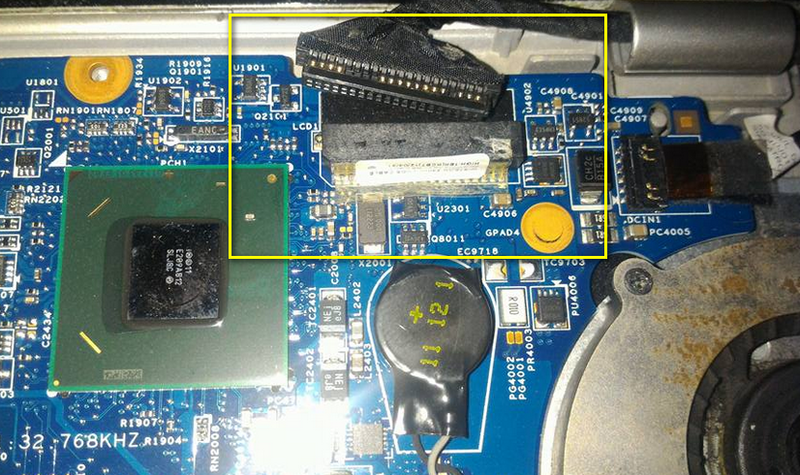 Anyway, I removed the dirt that accumulated on the pins and I tried reseating the connector a few times. I then put everything back in place and hoped for the best. I don't know if it was because of dirt in that module or if the connector was grounded and reseating it helped. But I'm just glad that I was able to fix the problem myself and to put one of my favorite laptops back in fine form. Now, ain't that a great way to wrap up an amazing year?